Fine Condition in Very Good jacket. 9780853318392. Fine/VG 1st edition 2001 Lund Humphries hardback, unclipped DJ, illustrated throughout. Light surface crease along top edge of DJ and corner rubbing, else Fine and unmarked. Immediate dispatch worldwide Quantity Available: 1. 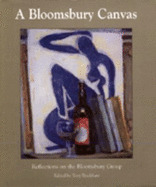 Category: Art & Design; ISBN: 0853318395. 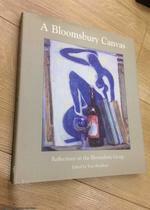 ISBN/EAN: 9780853318392. Pictures of this item not already displayed here available upon request. Inventory No: 072748. Very Good. Sewn binding. Cloth over boards. With dust jacket. 110 p. Contains: Illustrations. 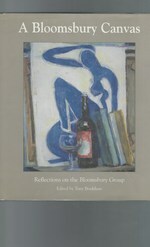 This volume brings together a selection of short essays on the Bloomsbury Group-the loose association of artists and writers centred around the sisters Virginia Woolf and Vanessa Bell, which had an important influence on cultural and intellectual life in early 20th-century Britain. Very good jacket. Hardcover. Little wear to the dust jacket. No cover wear. Clean unmarked text. Tight binding. ** WE SHIP DAILY (Mon-Fri) ** Free Tracking Information. Color & b&w. Near Fine in Near Fine jacket. 4 vo. Dj in mylar; illustrated end papers; 110 clean, unmarked pages. Color & b&w. Near Fine in Near Fine jacket. 4 vo. SIGNED By Editor First Edition, First Printing; dj in mylar; illustrated end papers; 110 clean, unmarked pages.